Mr Riley was evidently having issues sending emails over an LTE connection, and at last response, was still not able to get it to work. After his last comment, I decided to do some testing myself. I had a mixed experience in my own testing, but I’m not sure how much of that is based on the Watch, and how much is on my employer’s Microsoft Exchange Server. One thing that I noticed is that there is no way on the Watch to select an email account to send from. I initially thought that, if you triggered the creation of a New Message from inside the Inbox of one of your accounts, that the message would be sent from the corresponding account. It turns out that this is incorrect. The Watch will ONLY send email from the account that is set up as the Default Account under Settings-Mail. 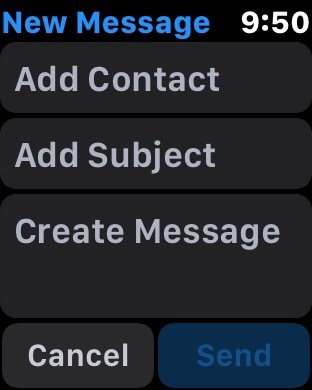 There is no way to set a separate default for the Watch in the Apple Watch app on the iPhone, and there is no “From:” field available when creating an email to send from the Watch. All of my emails were actually sent and delivered….eventually. Some of them took as long as 15 minutes to be received. However, they all showed up in the Sent folder on my iPhone almost immediately. I have my work email account set as the default account on my phone because it is the one I use the most by far. Evidently it doesn’t work very well with the Watch. Whether this is the Watch’s fault, or the server was just running slow tonight, I’m not sure. I’m leaning toward this being more of a server issue. 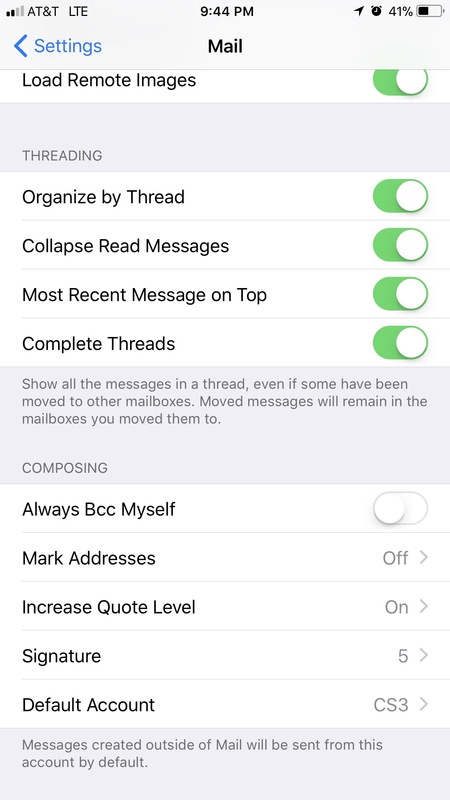 When I switched gears and changed my default email account to my iCloud account, the sending and receiving was MUCH faster. The problem is that I can’t leave my default set there. I had to move it back for work after I was done testing. 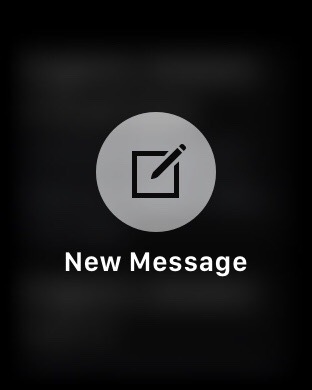 In the future, it would be nice to see Apple add a little more flexibility to the Mail app on the Watch with a “From:” field that allows users to select which of their accounts they want to send from. That said, the primary purposes of the Mail app on the Watch are to allow you to see your new emails, to triage your Inbox, and also to Reply to those that demand immediate responses. Sending new messages is a valuable feature, but I get the feeling that it is down the list of priorities. When the original Series 0 Apple Watch was released, watchOS 1 was missing both Reminders and Notes. Apple rectified the first omission in watchOS 3 and its a good thing, as leaving that app off the platform always struck me as very odd. It is so easy to check and respond to tasks and the Watch works very well for checking off items in a Shopping List. 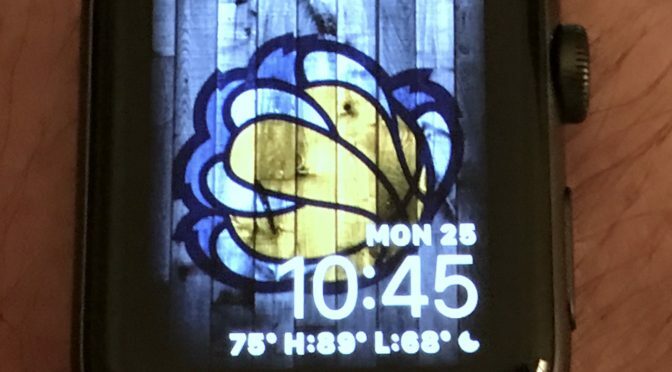 I used a third party stand-in app with my first Watch, and was very happy once the real thing showed up a year and a half later. 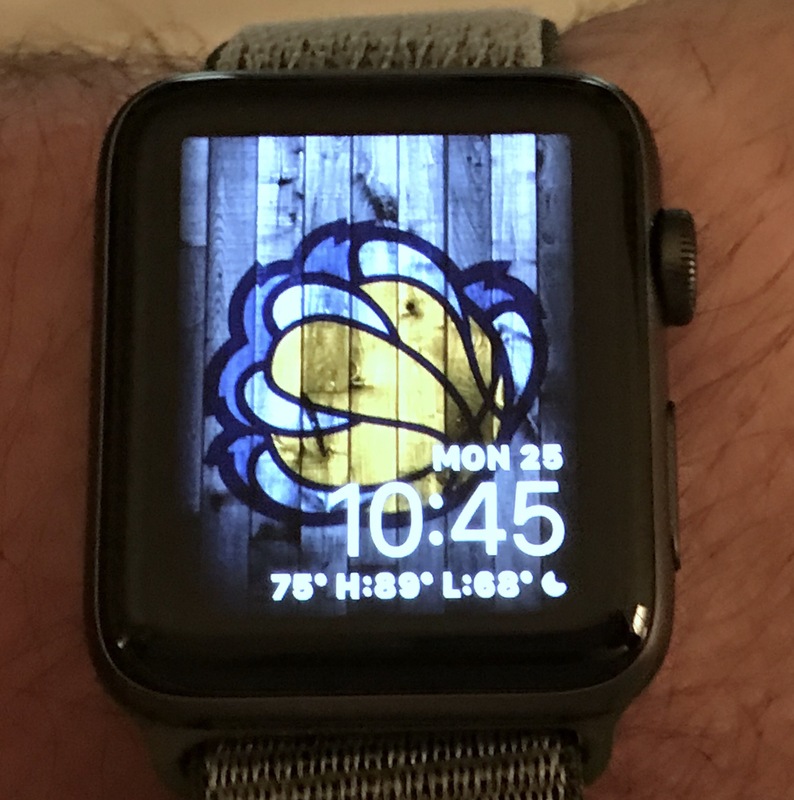 Notes may seem like a less obvious fit on the Watch, but with the app’s upgrade to include checklists and with Siri’s capability to add to Notes paired with the Watch’s superior accuracy using Siri, I find it surprising that the app didn’t make it into watchOS 4. I’m not going to say that this is a major problem or deficiency. However, with the Watch quickly moving toward independence from the phone, it makes sense to duplicate all of a user’s critical information for display there. Apple has put a lot of time and energy into upgrading Notes in iOS 10 and 11, and they obviously hope users will embrace the app over third party options. Notes on the Watch would only help to cement that bond in the future. That’s about it for today. Battery life was solid once again today, as I made it through the entire day with 55% still available. This was after typical use during the work day, and then over an hour of email testing this evening before writing this post. Not bad at all. As always, if you have questions or comments, you can leave them in the Comments section below, on Flipboard, on our Facebook page, or on Twitter @iPadInsightBlog.